When it comes to making Custom Ringtones, there are tons of options, let alone the options of buying the prepaid ones one places like iTunes Store, or Android Play Market, but you might want to craft your own from your own tunes, and to that end you probably would need some software to do this, and for Windows you need not look further than Ringtone Maker which supports creating custom ringtones for your Android, iOS and blackberry devices, for more check out Ringtone Maker for Windows. 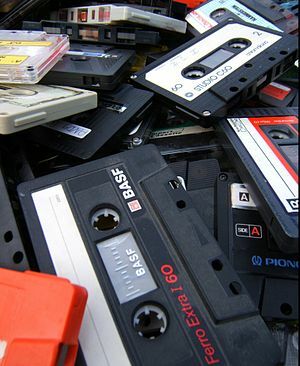 Perhaps your holding a collection of Cassette Tapes and your dying to make the transition from Tapes to MP3’s, well you might want to check out this CNET article that describes a method you can possibly use to do this, for more check out the article HERE. If you use the service Spotify and are a owner of a iPad you might want to check out the app for your iPad, it has been designed for the iPad’s display among other features available for this version of the app, for more check out Spotify for the iPad. You usually can’t use a Audio or Video file on your iOS device unless it is already in the proper format, or you use some type of conversation program to get it into an iOS friendly format, and if this is an issue you run into often on your Mac OS Desktop then you might want to consider trying the program iConvert out which offers to convert those A/V files so that their ready for your iOS device, for more check out iConvert. When it comes to using the service Google Music, you may be pleased with the experience you get out of the box with the service, but if your looking to get more out of the service, then you might want to check out the Google Music Lab where you can get access to features like Desktop Notifications, HTML5 Audio Player and other features, for more check out this Official Blog post HERE. You probably have seen Music discovery apps or functions in apps here and there, but if your looking for a polished solutions for you Windows Desktop then you probably should give the program Hypegram a shot! With a free Spotify account you would have noticed in a matter of months certain restrictions being placed on your free account, but it would appear that Spotify isn’t ready to cut off free account holders yet from the wonders of Unlimited listening, for now free users will still enjoy this great gift from the service, for more check out the official post by Spotify HERE.